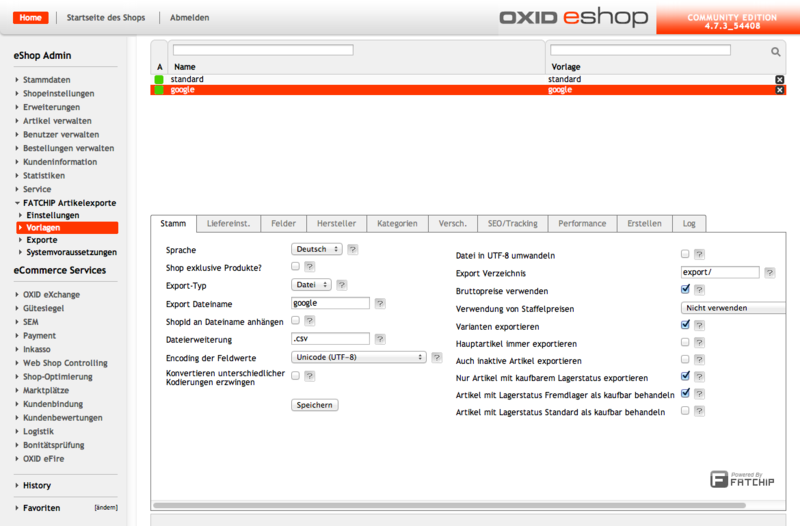 OXID eXchange | FATCHIP OXID Plugin Article Exporter 1.16.3 Sourcecode | Stable | EE, PE | 4.7.x - 5.3.x - google | Module, Themes, Language Packs direkt herunterladen! 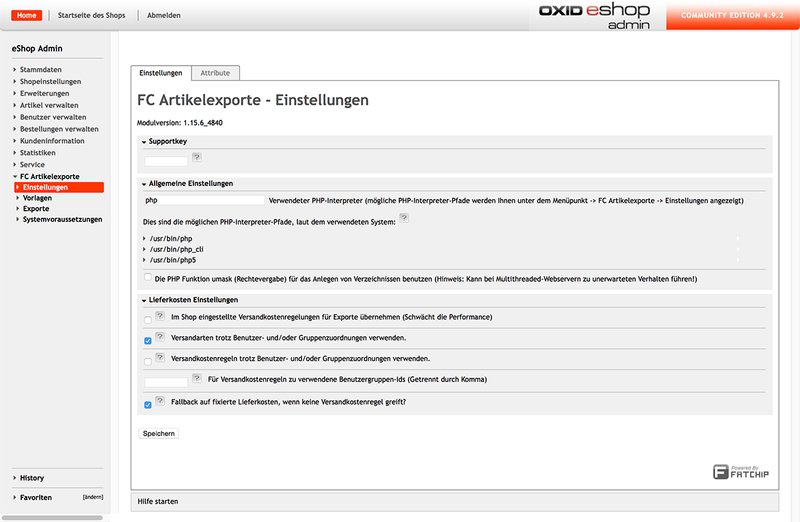 With the FATCHIP OXID Plugin Article Exporter you can easily create CSV export files of the articles in your shop. 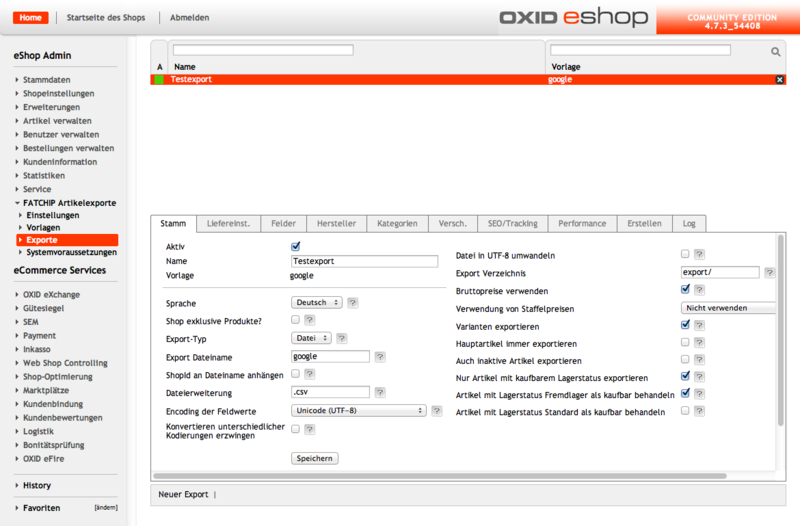 There is a large amount of configuration options in order for the export file to be perfectly suited for each product search engine. 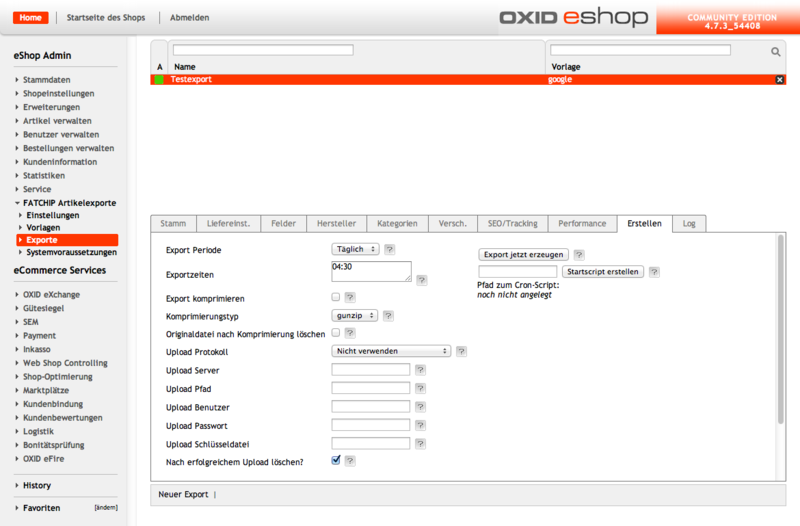 The server has to support the selection of PHP scripts via the function system(). This, for example, is not the case with 1&1 servers. 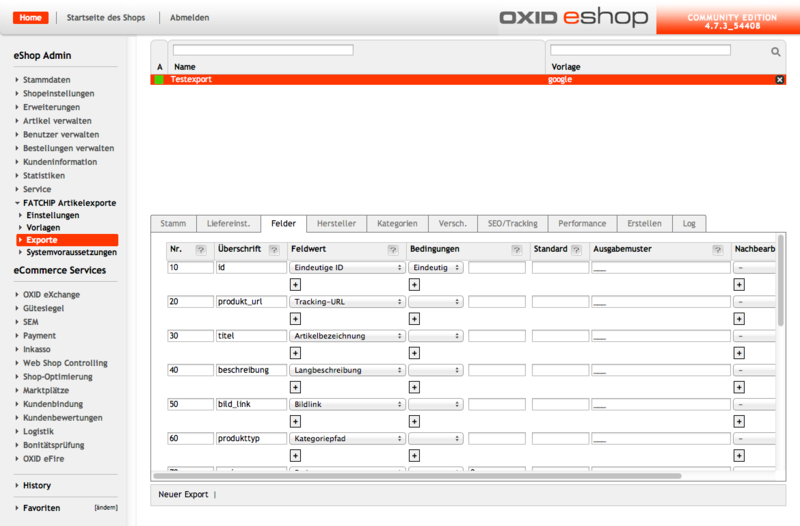 A usage of this plugin with those servers happens at one's own responsibility. 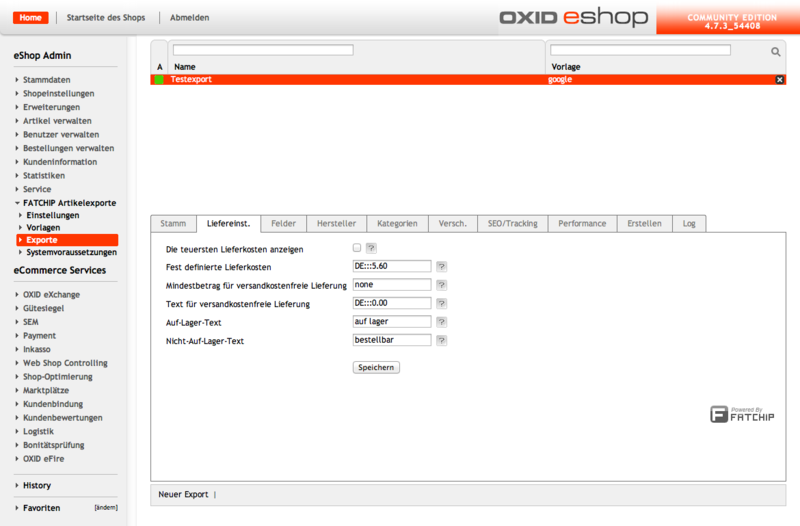 There will be no plugin support on servers that do not support the function system().